There’s nothing trashy about our dumpster lids. A product of Franks Mfg. 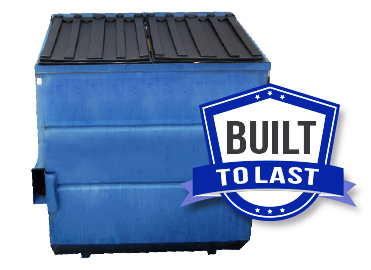 Co., our dumpster and trash lids are formed from a super tough, high-density polyethylene that will not deteriorate in extreme cold or heat. Lesser plastics will degrade in the sun. Our material is protected form the ultraviolet rays by a special blend of resins.